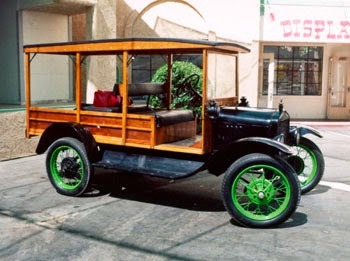 Going back to the concept of Station Wagons, they started out during the early stages of automobiles, roughly 1910. They were basically "motorized luggage wagons", built to serve the bustling passenger train and oceanic cruise ship passenger. Travel took a long time, so people had to take a sizable amount of luggage with them and "luggage" consisted mostly of large "steam trunks". Similar to the concepts behind early Graham trucks, automobile manufacturers, primarily Ford, began building "cab and chassis" models for modification outside of the factory. Buick, Chevrolet, Dodge, Essex, Ford, Franklin and Studebaker were the main chassis used by the various body manufacturers. These aftermarket manufacturers would buy the bare bones trucks and install wooden wagon bodies on them for use as"depot hacks" (luggage taxis). Research reflects the term "station wagon" began to replace the use of "depot hacks", somewhere between 1923 and 1929, the year Ford introduced an official factory built "Station Wagon". 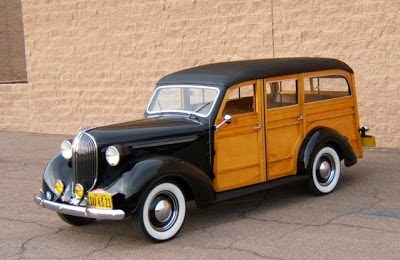 However, it was not until 1938 when Dodge introduced the P6 Westchester Suburban, the first station wagon that was classified as a car rather than a commercial truck. Other companies soon followed with woodies of their own. 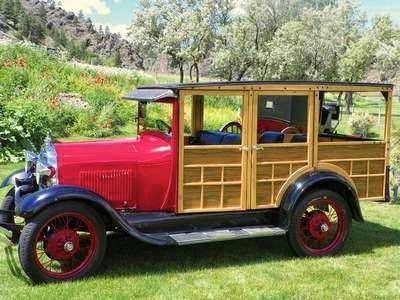 At this time all woodies were considered "commercial vehicles" with low production and sales volume, but this is also likely the point in time where people began to view "station wagons" differently. 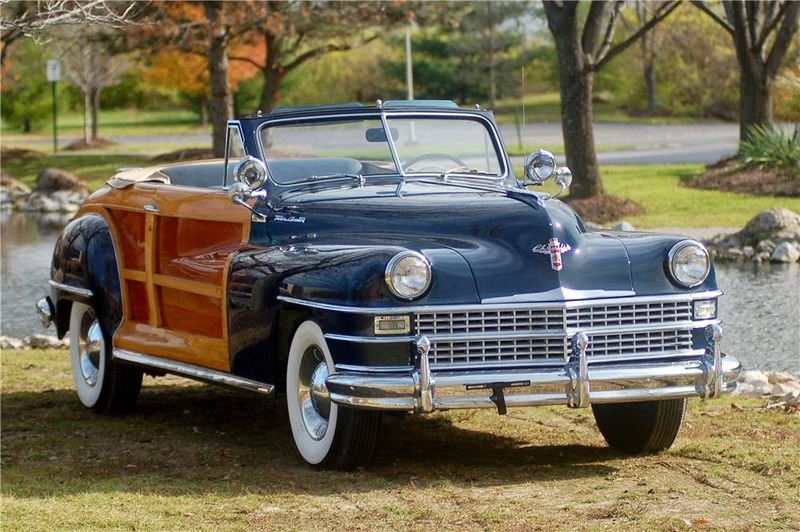 Lots of "squishy" details surrounding why 2 door woodies were introduced post war, but the 1948/49 model years brought about a large variety of "woodie" variations from many manufacturers, including convertibles, 4 door sedans and wagons and 2 door wagons. 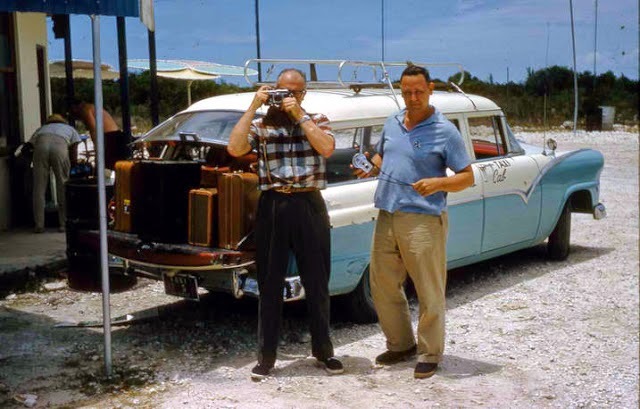 The breakthrough was that 2 door wagons were fashionable. They broke the stigma of a wagon as a low budget utility vehicle. Details reflected a quickly growing disdain for "woodies". They looked fantastic new, but the wood quickly shed itself of varnish making them look old and worn out. Without proper care, the wood began to rot. 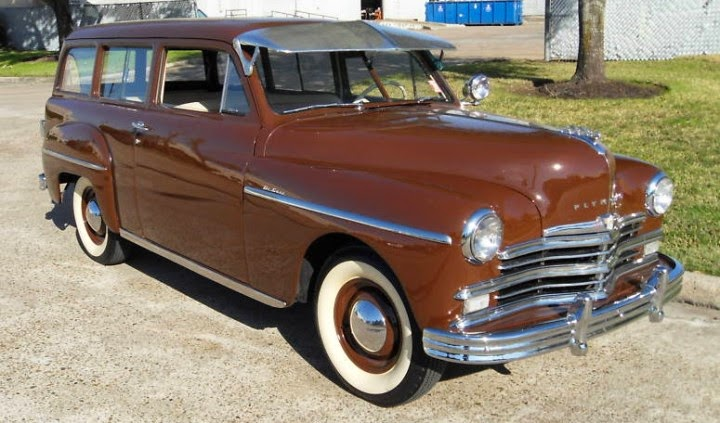 The first all-steel 2 door wagon was introduced by Plymouth in 1949. An all metal wagon addressed the issues of a wood body, but fashion took a backseat to utility for these early all steel wagons. 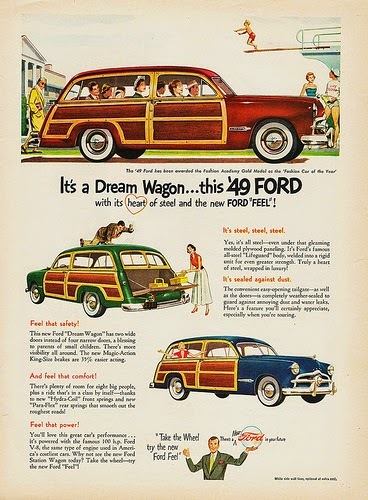 "Commercial" users wanted a durable and inexpensive replacement for the woodie, but the general market wanted a replacement for the fashionable 2 door woodie. Detroit decided to give them both. Check back tomorrow for Part 2 of the 2 Door Wagon Story, "Welcome Home Nomad"